Hailed as “distinguished” by the Chicago Tribune, Patrick O'Malley has performed from California to New York, as well as in Europe. He has appeared with many ensembles, including Lyric Opera of Chicago, Bach Week Festival Orchestra, Chicago Opera Theater, Baroque Band, Rembrandt Chamber Players, Chicago Chamber Orchestra, and “Live from Studio One” on WFMT. He recorded Brandenburg Concerto No.4 with Music of the Baroque. He has presented the premieres of several recorder works. With Lisette Kielson he has released a 2-disc recording, Telemann: Canons and Duos. Patrick earned a Master of Music degree in recorder from Indiana University, studying with Eva Legêne and serving as Associate Instructor. As the recipient of a Netherlands Fulbright Fellowship, he studied with Han Tol at the Rotterdam Conservatory. 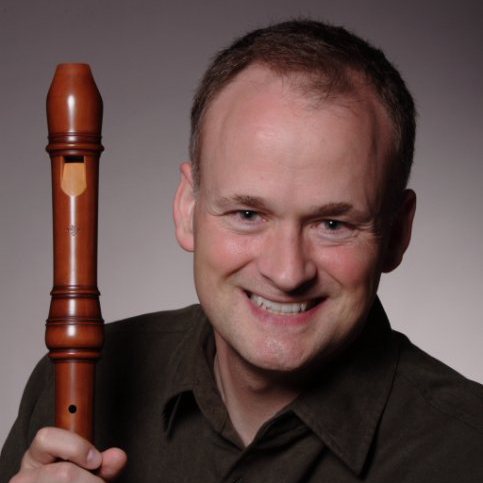 Patrick was an early adopter of online recorder teaching and is on the faculty of the Music Institute of Chicago, where he also serves as Campus Director. In addition to teaching workshops across the U.S., Patrick has taught masterclasses at Northwestern University, Cincinnati College-Conservatory of Music, and at the Suzuki Association of the Americas National Conference. He is a founding member of Chicago Recorder Quartet.